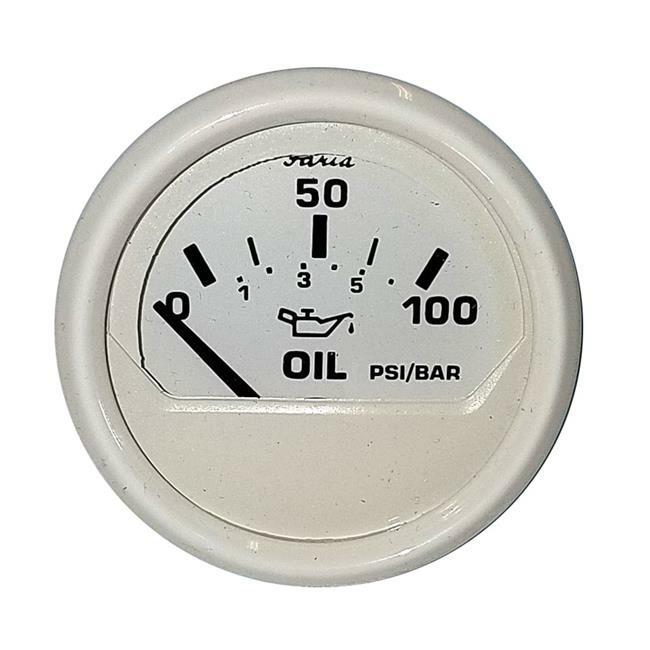 2'' Oil Pressure Gauge (100 PSI) - Dress White. A pressure gauge operates by sending a low amperage current through the gauges's meter to ground via a sending unit with variable resistance. The resistance of the sending units increase or decrease with the changes in pressure, temperature, etc. As the sender's resistance varies, the amount of current allowed to flow through it to ground changes and the meter deflects, showing the change in pressure.